Preheat grill to 375* – 400*F.
Wash all vegetables, clean and peel outer skin off of garlic and onions. Core and cut tomatoes into quarters. Cut stems off of jalapenos. Place all vegetables in large foil pan, arrange so there is only one layer. Make sure to place the tomatoes with skin side down. Sprinkle with salt over all vegetables and place pan over center burners. Lower the flame on the center burners and close lid of grill. Check occasionally to make sure vegetables are not burning, you only want to roast them. The green onions will cook faster than the other veggies, when the green ends turn dark brown take them off the grill. Cook rest of the vegetables for 30 to 40 minutes or until vegetables are soft and turning brown. They are cooked when you can pierce through with a fork. Let cool for about 10 minutes, then add all vegetables, including onions to your blender and blend to desired thickness. I like mine a little chunky. You may like yours pureed, taste and add more salt if desired. 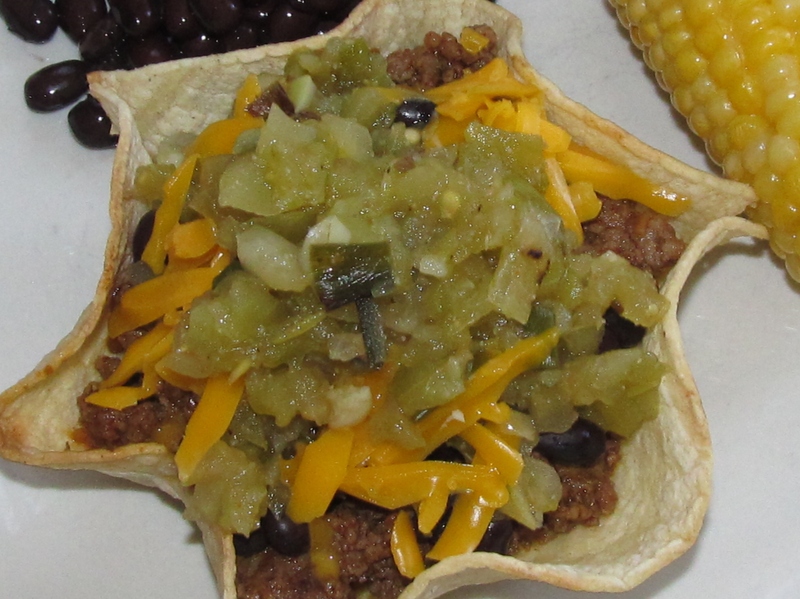 Serve as a dip or as toppings for tacos or tostadas. Note: I like to go a little heavy on the garlic, if you don’t care for a strong garlic taste, then don’t roast as many cloves as I do. If you plan to can or preserve your salsa, before you add to jars, you will have to boil blended vegetables, and follow canning directions, according to Ball or Kerr canning books.